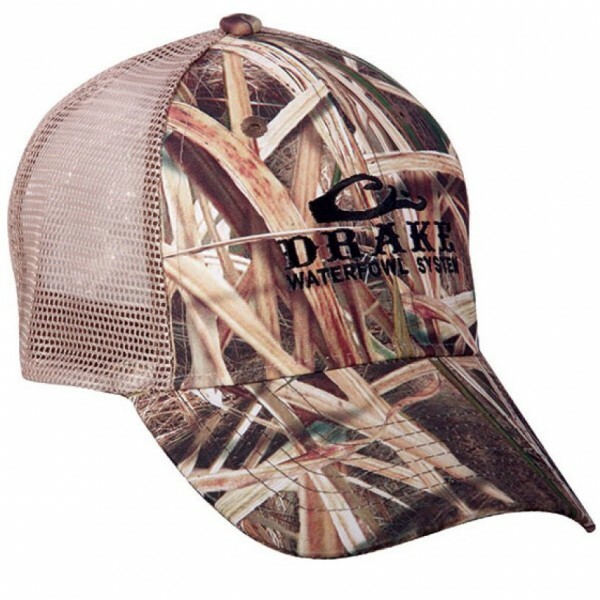 This Mossy Oak Meshback Cap by Drake has Cotton camo front panels with semi-structured mesh back. Drake has added amo under bill to reduce glare. It's designed with Cotton and Mesh for ultimate comfort and breathabilty.